Please read the policies before placing your order and please feel free to contact me should you have any queries. Payments made via the online store are through PAYPAL. Please note you do not require a PAYPAL account to use this facility. Once your payment is made your order can be started. If you would like to make use of our payment scheme, please contact me for details. Once your payment is through, your order can be started. Turn around time from payment to shipment is generally 2-3 weeks. If you require your order sooner, please contact me before ordering and I will do my best to accommodate you. Within NZ – 1-2 days. Australia – 3-6 business days or 7-10 business days, depending on postal option chosen. Rest of the World – please contact me for postal options. I use NZ post to ship your order. Items posted via “courier” are traceable and insured, those via standard post are not. If your item fails to arrive I will do my best to chase this up for you. If you chose the courier option for delivery and your order is deemed lost, I will replace your order for you. Personalised items can not be returned or exchanged once created. I encourage you to double and triple check your spelling when ordering as this is what I will use to stamp your order. If you have made a mistake I am happy to re-make the item for you however this will incur the full charge. If I make a mistake on your order, it will be re-made for you free of charge. I am a bit of a perfectionist at heart so each piece is created to a high standard. 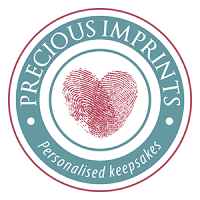 The personalisation is achieved through using a hammer and individual letters on a metal stamp. Each name/message/date is hammered in, one letter at a time. I am very particular with my placement of each and every single letter. With this is mind, this is a handmade process so minor differences in spacing and depth of letters may occur. These are not considered “mistakes”, more a representation of the handmade process. Please ensure you size your order correctly, i.e., chain length, bracelet size and ring size. Exchanges for chains can be made as long as the chain is in original condition. It is the purchaser’s responsibility to pay for return postage of the chain, any difference in price due to different length, and postage for the new chain. Bracelet and ring re-sizing can be organised. This service will incur a fee as well as postage costs both ways. With overseas purchases please be aware that any customs or duty incurred on arrival to your country is payable by you the purchaser.